After you SEO optimize your website, you will want to know what parts of the program are working well and what still needs improvement. Furthermore, you’ll need a way to quantify the business impact of your SEO work. To get a good understanding of the effectiveness of your SEO program, you’ll need to understand how your keyword visibility has changed over time, how much traffic that visibility is driving to the website, and what is happening to that traffic. There are many tools that will give you data on keyword visibility. 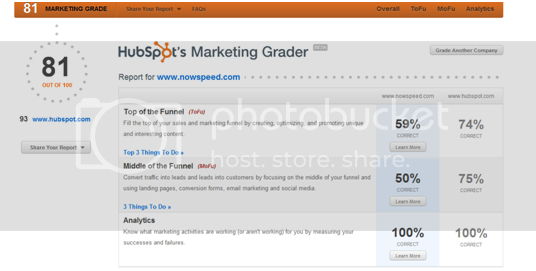 Tools such as Hubspot’s Marketing Grader, Keyword Spy or SEM Rush can quickly tell you how visible your keywords are. If you keep track of your results from month to month, you’ll be able to see the impact of your work on visibility over time.